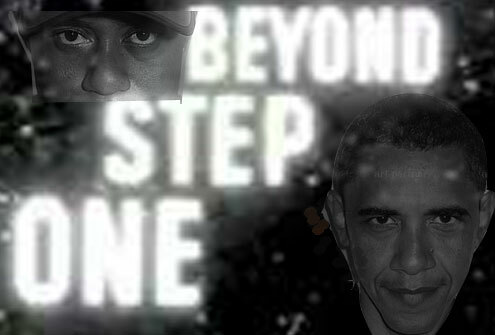 I admit that Down the Rabbit Hole, Barack Obama and Tom Morello, Satanism & Space Kids and the Secret Cyborg Project is little far out and beyond the pale of ordinary understanding. I understand that it titters on being obscure and rejected outright by most of the public. But I am not “off my rocker” as a reader has suggested. To go One Step Beyond, some readers need pictures to see the TRUTH. In this field of endeavors, it is a daunting and challenging task to clearly uncover the truth and Crimes Against Democracy (CAD) of the powerful and corrupt with compelling direct evidence. When I was a law student in Los Angeles during the 1970s, I joined one of the few defense attorneys that were willing to courageously fight police brutality cases for Watts’ residents. We worked at the Greater Watts Justice Center in South Central Los Angeles. It had been setup as a non profit criminal defense legal aid office in the wake of the infamous 1965 Los Angeles/Watts Insurrection. On any given day in the Los Angeles Superior Courts, about 75% of the criminal court calendar was resisting arrests, PC 148’s and assault/battery against an officer, PC 242-243’s. In most cases, the cases involved police brutality cases turned against the poor and the powerless unable to defend themselves in the court system. Most of the judges on the bench were former police officers and government prosecuting attorneys that were part and parcel of the blue shield of silence, crimes, and conspiracy against the people. In most cases, the public defenders were often unwilling or unable to challenge unjust prosecutions. In my first PC 148 and 243 defense case against a preacher’s 300 pound + daughter that was attacked and beaten by police on her way home from church and then unjustly charged with resisting arrest and battery against the officers, I asked Hank, who was then president of the National Lawyers Guild, how do we begin to defend the public trust against a powerful, secret and corrupt police state? The answer was simple, TRUTH. He told me that they will lie and when they lie, the lies becomes bigger and wider. Under close scrutiny, their facts always fall apart. A jury may distrust the verbosity of their direct evidence, and may infer that they are not telling the people the TRUTH. We lost that particular case mainly because we had failed to seat jurors that weren’t intimidated by the police state. However, we learned a great deal from that trial and later won over 90% of our cases which earned me a one way ticket out of Los Angeles when I pushed for a civilian police review board; and force the Los Angeles Police Department into federal receivership to protect the wholesale constitutional rights of Watts’ residents. The same principle applies in unveiling the public TRUTH and CAD’s of powerful and criminally corrupt. They have become so arrogant and don’t believe that they ever have to answer the public for their public deceptions, mistruths and crimes. Under close public scrutiny, their deceptions and mistruths become bigger and wider and fall apart. A Picture is worth a thousand words. Pictures are powerful evidence. It can be direct evidence, a silent witness. It may be indirect evidence that you may properly draw inferences from. It is also extremely helpful to work from direct quotes from printed bio or interview materials. It is from their testimony of events, not mine that also draw powerful pictures and inferences even for the blind to see. First, what is Little Obama doing in a NASA isolation chamber? In regards to astronauts and NASA, an isolation chamber simulates spaceflight in long-term isolation experiments on the ground. Isolation chamber experiments generally attempt to utilize the knowledge of psychology and psychiatry accumulated so far to solve the problems of psychological adaptation to spaceflight. Second, as far as Obama was aware. Gramps (Stanley Armour Dunham) didn’t mix words when he said that an astronaut waved at him and he waved back. I take Gramps at his word from his direct knowledge and unique position to observe the event that an astronaut was familiar enough with Little Obama to personally wave at him. It is strong eyewitness evidence. The astronaut who appears to have been familiar enough with Little Obama that we could infer waved at him was the man on the beach with him about his shoulders. Circumstantial evidence is indirect evidence which creates an inference from which a main fact may be inferred. 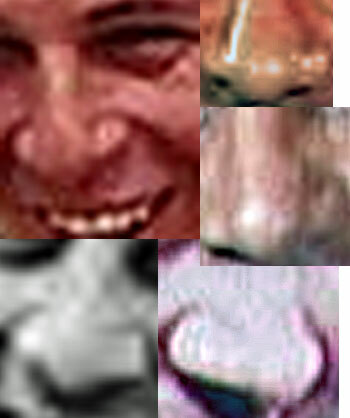 Virgil I. Grissom has a very distinctive (spaded) nose. 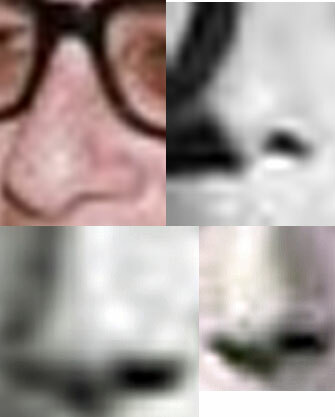 Grissom’s nose is most unlike Stanley Armour Dunham’s very narrow Anglo nose. Grissom is also a man with a remarkable verified distinctive short statute and small frame to fit inside a space capsule like the man on the beach. Stanley Armour Dunham is a tall man with a large frame who is not recorded to have had a military crewcut hairstyle even as an enlisted man. 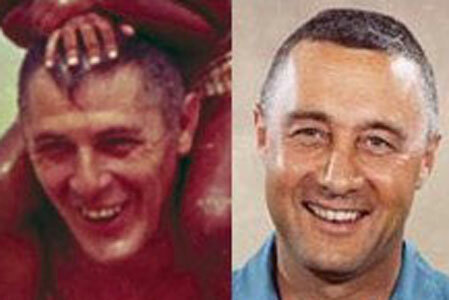 The man on the beach has an extraordinary and unexplained resemblance to Virgil Ivan Grisson of NASA. It is a resemblance so remarkable that an inference could be made that it is Grissom and not Gramps (Stanley Armour Dunham). On April 13, 1959, Air Force Captain Virgil Grissom received official word from the Air Force Institute of Technology at Wright-Patterson AFB that he had been selected as one of the seven Project Mercury astronauts. Six others received the same notification: Lieutenant Malcolm Scott Carpenter, U.S. Navy Captain LeRoy Gordon Cooper, Jr. (33rd Degree Mason), U.S. Air Force Lieutenant Colonel John Herschel Glenn, Jr. (33rd Degree Mason), U.S. Marine Corps Lieutenant Commander Walter Marty Schirra, Jr. (33rd Degree Mason), U.S. Navy Lieutenant Commander Alan Bartlett Shepard, Jr., and U.S. Navy Captain Donald Kent Slayton. The Mercury program was the United States’ first manned space venture and the first step in the country’s journey to the moon. All the flights were solo. 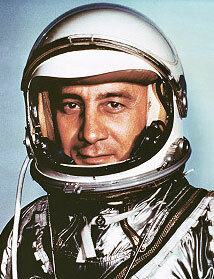 Cooper like Grissom, who was slightly built and thus fit well into space capsules, was the last American to fly alone in space. 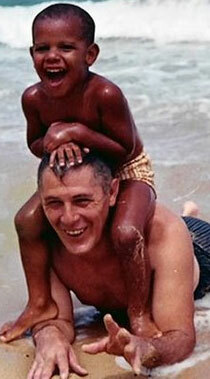 If the picture of Little Obama with the man on the beach was taken when he was three (3) years old as it has been represented between August 4, 1964-August 4, 1965,  the picture could have been taken within a couple months after or before Grissom’s Gemini 3 flight, March 23 -25, 1965. It was the first spacecraft to maneuver in orbit, and first manned flight of Gemini spacecraft. 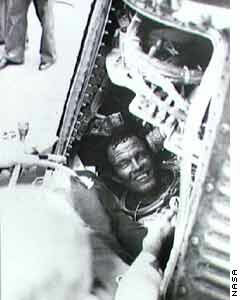 Gemini 3 splashdown was in the Atlantic Ocean near the Turks and Calcos Islands (UK). Gemini 8 was a Pacific Ocean splashdown (3/17/66) when Obama was four (4) years old. 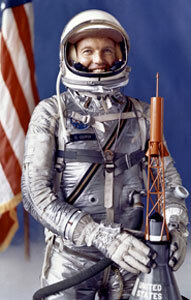 Gemini 8 was manned by non Project Mercury astronauts, Neil Armstrong and David R. Scott. However, NASA’s Apollo Pacific Ocean splashdowns began in December 1968 (Apollo 8), a year after Obama moved to Jakarta, Indonesia with his mother and step father. It wasn’t factually possible for Barack Obama to have observed astronauts from an Apollo splashdown at Hickam Air Force Base in Hawaii before December 1968 when he was attending school, Franciscus Primary School, in Jakarta, Indonesia. In fact, there may not be any isolation chambers located at Hickam Air Force Base. Obama didn’t return to Hawaii until 1971 when he was a ten (10) year old 5th grader. I suspect at that age he would have remembered or fact checked the Apollo Pacific Ocean splashdowns, Apollo 14 (4/71), Apollo 16 (4/72), and Apollo 17 (12/72). I also suspect that Obama would have been too large to sit on top of Gramps’ shoulders during any Apollo Pacific Ocean splashdowns when he was at Hickam Air Force Base (Department of Defense [DoD] and specific NASA test range location) after 1971. Almost nothing is known about Obama in Hawaii from his birth August 1961 until 1967 when he traveled to Jakarta. If we believe him that he had repressed memories of being in an isolation chamber looking out of a portal and I do, it wasn’t in Hawaii. If we believe him that he remembered observing astronauts arriving at a base after an Apollo splashdown and I do, it also wasn’t in Hawaii. Then, it is proper to infer and conclude that he was someplace else that he honestly doesn’t recall or he is intentionally being deceptive and untrustworthy. Either or which is true cannot be determined from the nature of the cult of secrecy and deception surrounding Obama from infancy to adulthood. 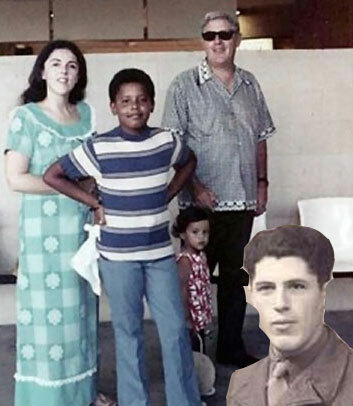 Barack Obama Jr. is essentially a product of a Hawaii University (HU)-East West Center (EWC) love triangle and liaison between students, Barack Obama Sr. and Stanley Ann Dunham. Barack Obama Sr. was airlifted from Africa to HU-EWC as a future CIA asset. The Dunhams, Stanley Armour, Madelyn and Stanley Ann were most likely FBI/CIA assets. HU-EWC was a confirmed CIA/MK ULTRA institution. Obama was employed by a CIA front corporation, Business International Corporation (BIC). Barack Obama’s fuzzy personal reflections and recall of memories from his most impressionistic years (? to 6 years) of NASA’s astronauts, aviator glasses, Apollo flights, splashdowns, U.S. Air Force Bases, and isolation chambers is unprecedented, unqualified and unexplained if you accept his base fact that Gramps was just a furniture salesman. If Gramps was just a furniture salesman, then something else allowed Obama and Gramps DoD security clearances and unrestricted access to NASA facilities, an early experimental “Space Kid?” It would best explain his unprecedented access to NASA, astronauts, isolation chambers, air force bases; and repressed memories. The man that Cooper identified with development of NASA’s Space Kids Project was an infamous super spook doctor and ESP (Extrasensory perception) guru, Dr. Andrija Puharich (February 19, 1918 – January 3, 1995). Dr. Puharich was a mind control merchant who sold his services to the highest military intelligence bidder. NASA had been supporting Dr. Puharich’s research in ESP since the 1950’s. 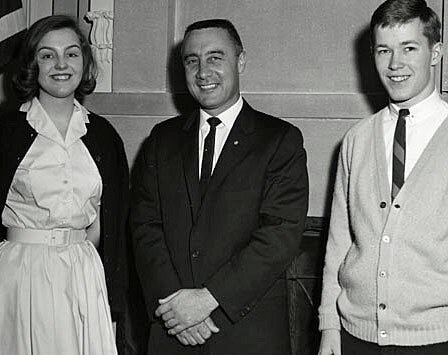 He had a close personal relationship with NASA’s director, SS Werner von Braun, and astronaut Master Mason Edgar D. Mitchell (Order of DeMolay), a research associate. Dr. Puharich was a man shrouded in mystery, controversy, and the secret cult of military intelligence too heavy to cover in any detail here. In 1978, while working with Walt Disney (Order of DeMolay), Gordon Cooper began working with Puharich’s assistant, Valerie Ransone, to expand the Space-Star Kids Project. 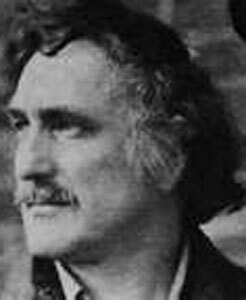 Smoke and mirrors, Ransone claimed to be in touch with extraterrestrials and UFO’s. Ransone sought out Cooper’s help to expand the project through forming a network of influential individuals and scientists (Advanced Technology Group) through his influence and contacts with NASA. However, the Advanced Technology Group (ATG) at the Foreign Technology Division of Wright Patterson Air Force Base, Dayton, OH already existed. Dale E. Graff of the U.S. DoD and Defense Intelligence Agency (DIA) was the chief of ATG. As early as 1976, he had been the contract manager for remote viewing research at the Stanford Research Institute (SRI). Between 1976 and 1993, he served in a variety of liaison and management roles for the U.S. Army/CIA STAR GATE Project including director of the project from 1990-1993. STAR GATE was one of a number of “remote viewing programs” conducted under a variety of code names, including SUN STREAK, GRILL FLAME, and CENTER LANE by the DIA and INSCOM, and SCANATE by CIA. These efforts were initiated to assess foreign programs in the field; contract for basic research into the phenomenon; and to evaluate controlled remote viewing as an intelligence tool. STAR GATE consisted of two separate activities. An operational unit employed remote viewers to train and perform remote viewing intelligence-gathering. The research program was maintained separately from the operational unit. STAR GATE and the DIA took over Puharich’s Star Kids Project after he fell from grace. In 1951, Puharich received a research grant of close to $100,000 from the U.S. military to build a solid sheet metal Faraday Cage, to test Psi Psychics, paranormal activity worthy of study psychics. The Faraday Cage was essentially an enclosed steel isolation chamber. It is a metallic enclosure that prevents the entry or escape of an electromagnetic field (EM field). The “Turkey Farm” as he called it was burned down. It was full of Puharich’s secret ESP/EMF CIA-military intelligence research files and data, the Faraday Cage, and “Space Kids”, psychic subjects he was collecting. At least for while, Puharich was being purged from the agency and fazed out of secret CIA-military intelligence Psi/EMF/ELF research and development that was highly prized by CIA Director Richard Helms’ MK ULTRA program. Gordon Cooper had personal working knowledge about Puharich’s Faraday Cage operational use before it was destroyed. It suggests that he was directly involved with Dr. Puharich as a research associate similarly like Edgar Mitchell (SRI) in development (trauma based) and testing of Space Kids. Cooper briefly described how Puharich used the cage for experiments in his book, Leap of Faith. Basically, the Faraday Cage served Puharich in two capacities: (A) to insulate the psychic from interfering environmental energy fields; (B) to “amplify” the type of ESP being tested, plus to insulate the subject. At the time his house was fire bombed, Puharich had put together a cult of “Space Kids” called the “Gellerings,” twenty adolescents from seven countries that were subjected to intensive hypnosis and trauma based mind control technologies to supposedly develop paranormal abilities as Uri Geller. Puharich discovered Uri Geller in Israel. Geller was a paranormalist famous for bending spoons with mental-telepathic powers. Puharich presented Geller as some kind of new messiah specially selected by extraterrestrial intelligences to redeem mankind. Under the wing of Puharich, Uri was flown to the USA in 1970, where he was introduced to former NASA astronaut Edgar Mitchell, and physicists Hal Puthof and Russell Targ at SRI. Mitchell, Puthof and Targ conducted evaluations and testing of Geller’s psychic abilities for the CIA and STAR GATE. Mitchell was also briefing the CIA (George H.W. Bush) on the activities and results of the Institute of Noetic Sciences, and most likely SRI. The purpose of the Space Kids project was also to determine whether the children possessed the ability as intelligence tools to remote view targets of military and intelligence interest. In fact, a 14-year-old Space Kid participant reports his suspicions were aroused when he was asked to take part in a remote viewing exercise – to spy on the Kremlin, among other sensitive political targets, which was consistent with the objectives of STAR GATE. It is unknown how long Puharich had been involved in creating mind controlled Space Kids as military intelligence Cyborgs, but Puharich had been experimenting with the Faraday Cage and Psi Psychics since about 1952. Puharich claimed he first became involved with military intelligence in “Project Penguin”, a project whose existence has been denied by Office of Naval Intelligence (ONI). Project Penguin allegedly got underway in 1948, a Navy exercise that ran for some years. Its scope: to test individuals possessing “psychic powers.” ONI’s Project CHATTER had begun in the fall of 1947 delving into the Nazi secret mind control experiments at Dachau Concentration Camp, and most likely Reichsfurhrer Heinrich Himmler’s Ahnenerbe secret Astra Travel (Remote Viewing) and Psi-warfare projects which are still classified by the CIA and British MI5-MI6. Puharich also spent time with his friend British CIA/MK ULTRA Godfather and Orwellian social engineer Aldous Huxley in Tecate, Mexico, studying the effects of electronics on the human organism. Another associate of Puharich was John Hays Hammond, said to have been Nikola Tesla’s only student. Hays was also interested in the use of electromagnetism to influence the human mind. Puharich was also closely associated (Round Table Foundation) with Neuropsychiatrist Warren S. McCulloch of Dr. Gregory Bateson’s Cybernetics Group. McCulloch was an early advocate of cybernetic theory, electronic brain implants and chaired conferences sponsored by the Josiah Macy, Jr. foundation, a channel for CIA MK ULTRA mind control funding. During the 1950s-1970s, Dr. Andrija Puharich was like Dr. Gregory Bateson, wherever he raised his ugly head there was also trouble, CIA/MK ULTRA mind control trouble, and CYBORGS. The secret DIA/CIA-MK ULTRA and NASA EFM Space Kids experiments conducted by Puharich and SRI during that time are still classified or destroyed. In 1973, CIA Director Richard Helms ordered all MK ULTRA files destroyed. Pursuant to this order, most CIA documents regarding the project were destroyed, making a full investigation of MK ULTRA and Space Kids impossible. Post 9-11, the Intelligence Reform and Terrorism Prevention Act of 2004 established the Office of the Director of National Intelligence (ODNI) as an independent agency to assist the DNI. The budget for the ODNI – and the Intelligence Community equal $43.5 billion. When it comes to covert privatization of the U.S. Treasury, appointing Clapper, to be the Director of National Intelligence, “It’s like hiring Colonel Sanders if you’re selling fried chicken.” Prior to his retirement from the Air Force in 1995, Clapper had been in the military for over 32 years, concluding his career with four years as director of the Defense Intelligence Agency (DIA). He then spent the next six years holding executive positions in three successive companies where, according to SourceWatch, “his focus was on the intelligence community as a client.” He is part of the network and cabal of the good ole boys of intelligence and Nazi Occultism. It is G.H.W. and G. W. Bush’s same good ole boys that turned the multi-billion dollar mass murder intelligence and war machine against people of color around the world (Palestine, Iraq, Afghanistan, and U.S. citizens (9-11); and President Obama seems like helpless and defenseless Cyborg unable to remove them for abuse of power no matter what the Will of the People. 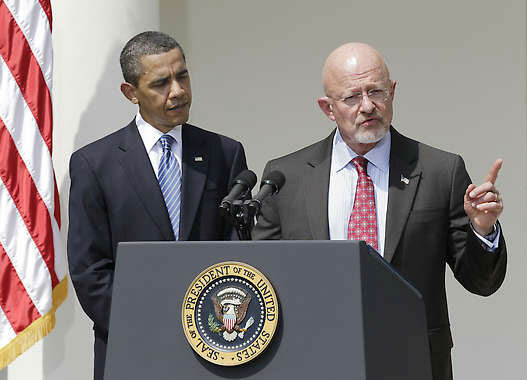 Lt. Gen Clapper, in his capacity as the head of the DIA in the early to mid 1990s, was directly involved in the DIA’s response to a briefing request about the psychic spy program from then Deputy Secretary of Defense William J. Perry, and John M. Deutsch, who became the Director of Central Intelligence at the CIA. Months after Deutsch was handed control of the CIA in May 1995, the psychic spy operation under Clapper at the DIA, named STAR GATE, was transferred from the DIA to CIA, following a Congressionally Directed Action order. Then Deputy Secretary of Defense William J. Perry and Deutsch asked DIA to be briefed on STAR GATE, the gatekeeper and briefer was Lt. Gen. James R. Clapper. Clapper was Graff’s DIA/ATG boss that took over the Space Kids Project from Puharich in 1978.
wow this is well hard to digest but there are so many layers going on here. stay positive and thanks for the information.